Increase efficiencies and reduce admin? 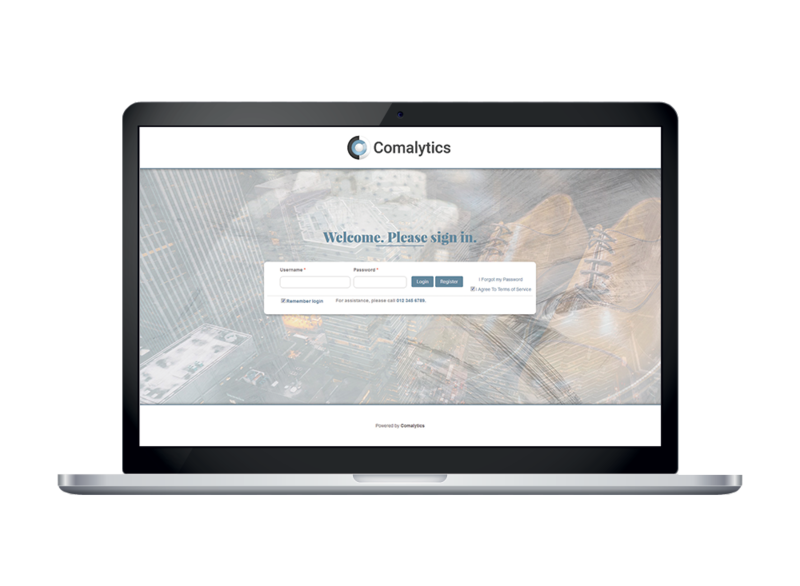 Our Comalytics B2B e-commerce solution is the answer. These features will convince you. Your customers receive a login, so they see only their specific products and pricing. You can set different access levels within a customer account. You can define customer groups. It can handle 100 000+ SKU’S – or even more if you choose a tailored solution. errors and it sorts search results based on specific criteria e.g. fast movers and specials. The intuitive drill-down: The customer easily filters on predefined facets until they find what they need. Their specific pricing: This includes contract or specific discounted prices. Any volume discounts: These are triggered when they exceed a set quantity. Stock levels: These can be shown either locally or nationally or both. Best practice is to draw this from your ERP, but other methods are also available. content as possible per product – this has a hugely positive impact on your sales and customer support. Related and recommended products: These are proven to increase your Average Order Value. Add a quantity on the product list or product details page: This automatically adds a product to the cart visible at the top of the page. Quick order: The customer can type in a SKU or import a list of products from Excel to create a personal “quick order” list, which can be saved for future use. 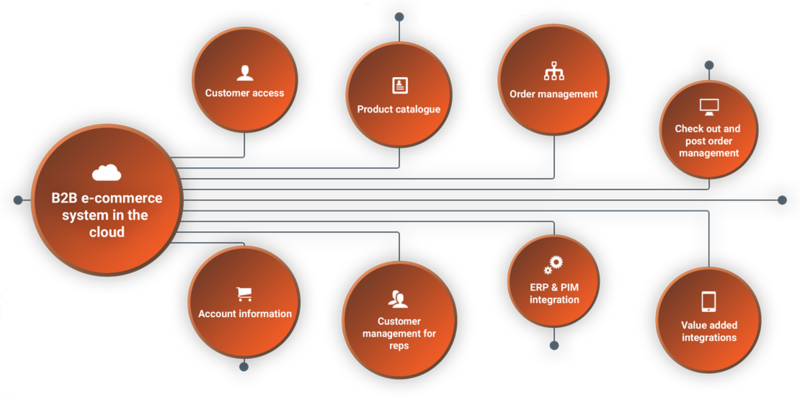 Re-order: The customer can access previous orders, whether they were placed in the B2B or ERP system, and easily re-order the same items. converted to an order from the B2B system, or they can request a re-quote if it has expired. Once the customer has finished placing items in their cart, they can view their order and checkout. The payment options you choose to offer: These could be credit card, EFT, cash-on-delivery or account (with live credit checks from the ERP system). The delivery address: This can be restricted to a specific address for that customer, or a default address can be pulled in from their account and changed by the customer. Items that are out of stock: You can specify whether specific customers are allowed to back order or not. 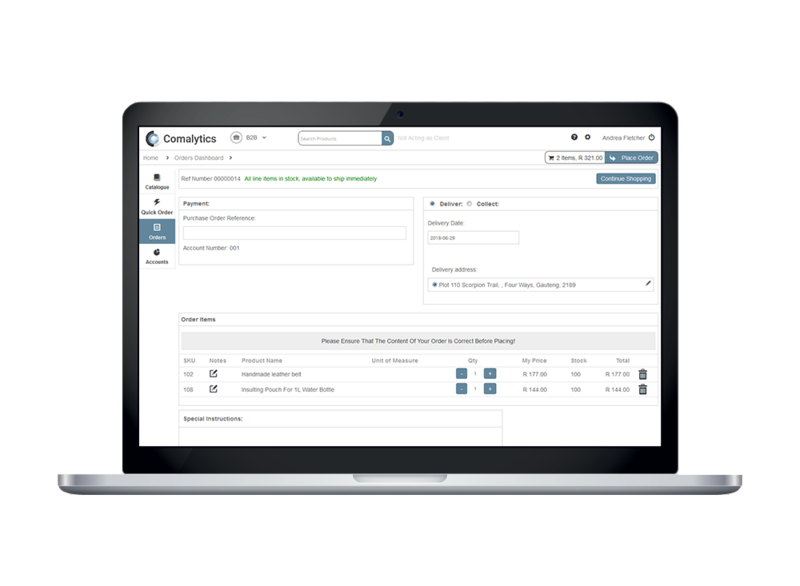 It automatically gets placed directly in your ERP system. The PDF order is emailed to the customer and to their rep. 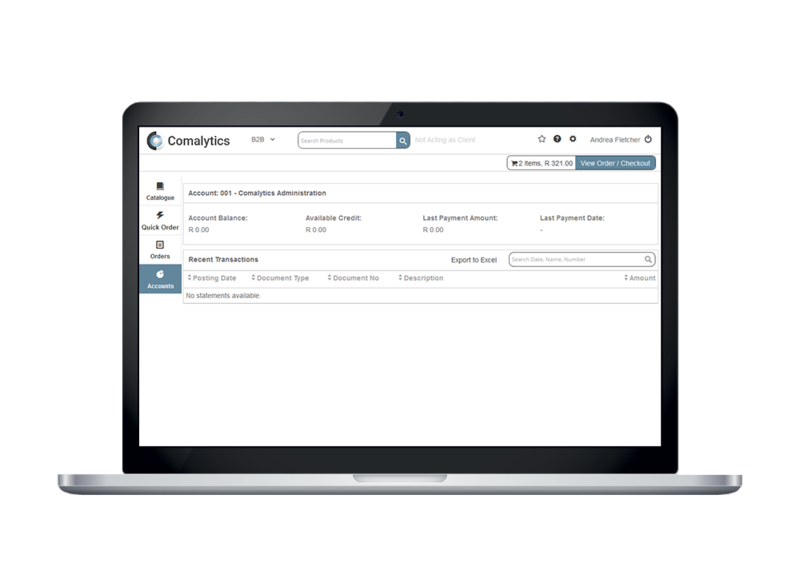 The customer can track their order status, and easily retrieve invoices and delivery details from the order list. They can also download their own PDF invoices where required. 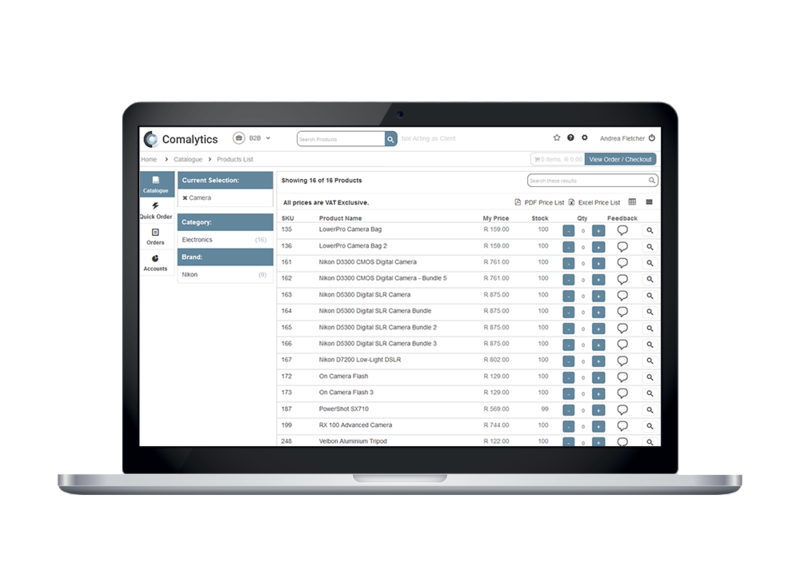 This empowers your customers and reduces their calls to your sales representatives. Your reps can access all their customers’ account details by acting as the client. They can even order on behalf of the customer, if your rules allow it. you also select what data you want to push and pull.